Feel like your brows might let you down on your wedding day? If there are a few gaps or you’ve fallen into the trap of over-plucking your brows over the years, or you have totally the opposite problem and you’re unsure of how to tame them; then get in touch. 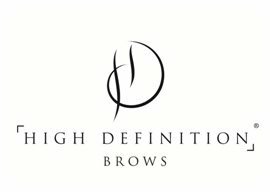 As an HDbrows stylist I can help map out the best brow shape for your face and help you grow them in before your wedding. The only thing I’ll need you to do is get rid of the tweezers. Brows are slow growers, so this treatment is only for you of you have patience. The treatment involves tinting to find all of the hairs we can use in our new shape, waxing to create the shape we want, threading to buff away fine hairs we don’t need and tweezing and cutting to refine them. And repeat appointments to make sure the brow hairs are growing in the places we need them to create a full brow without the need for any filling in with makeup. The success you have with your brows largely depends on how quickly your own brows grow. So the earlier you can start this before the wedding the better! And you’ll need to grow your brows for as long as you can before we start your regrowth programme. Don’t want to wear strip lashes or extensions for your wedding day? If you don’t get on with either of these options then a lash lift is worth considering as it’s all about your own lashes. LVL is by far the most popular lash treatment out there with the effects of the lash lift lasting between 6-8 weeks. So it’ll see you through the wedding day and through your honeymoon. 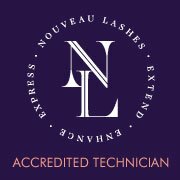 LVL straightens your lashes at the root, so unlike a traditional lash perm it creates the effect of longer, lifted lashes. With immediate and lasting results that won’t damage your natural lashes either. This is the perfect treatment for those looking for low-maintenance lashes which are always ready to go. It also rules out the need for mascara on a day-to-day basis. So if you’re short on time n the morning it’s a great treatment for you.